After being curious of the way this pair of denim fit I managed to stumble upon a pair of Wings + Horns raw slim denim. Unfortunately these will not be found in Saskatoon. I am looking forward to starting a new piece of raw denim. My first pair was unsuccessful, my second pair is still in the works and this pair will hopefully top them both off. So far the fit is phenomenal. They are much skinnier than I anticipated but I am happy with that considering that they should stretch a fair bit. I also chose to side down by one size. 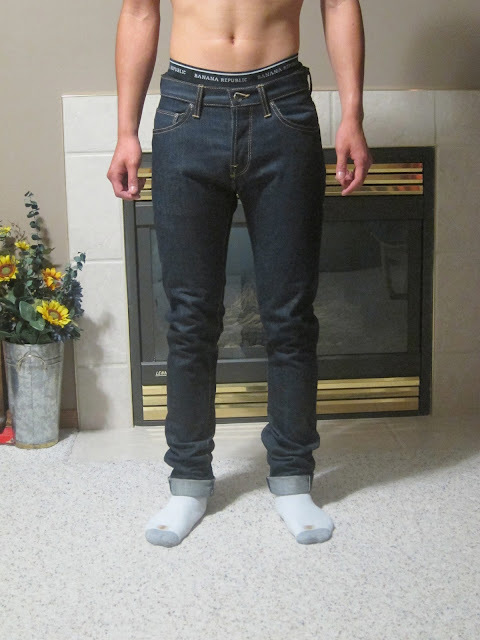 The length is quite long for me (I'm 5'8) so I choose to double cuff the jeans rather than get them hemmed or let there be extra stacks. The simplicity is key for me, the plain leather tab and the plain back pockets. The colour is pretty blue so I am looking forward to seeing how they will fade. 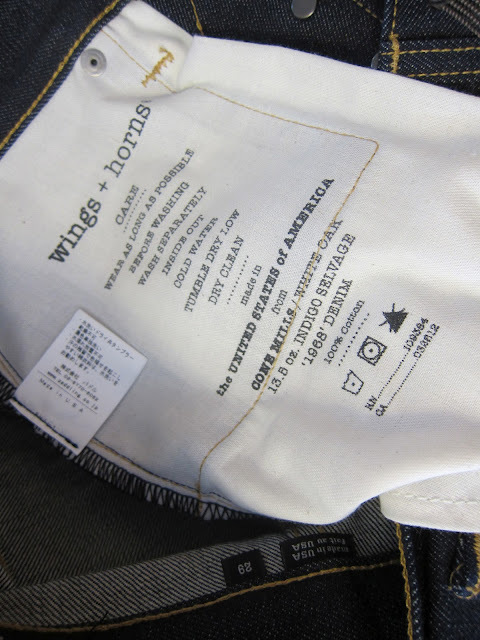 Wings + Horns denim is made at Cone Mills in the United States, the same factory that Levis jeans are made. 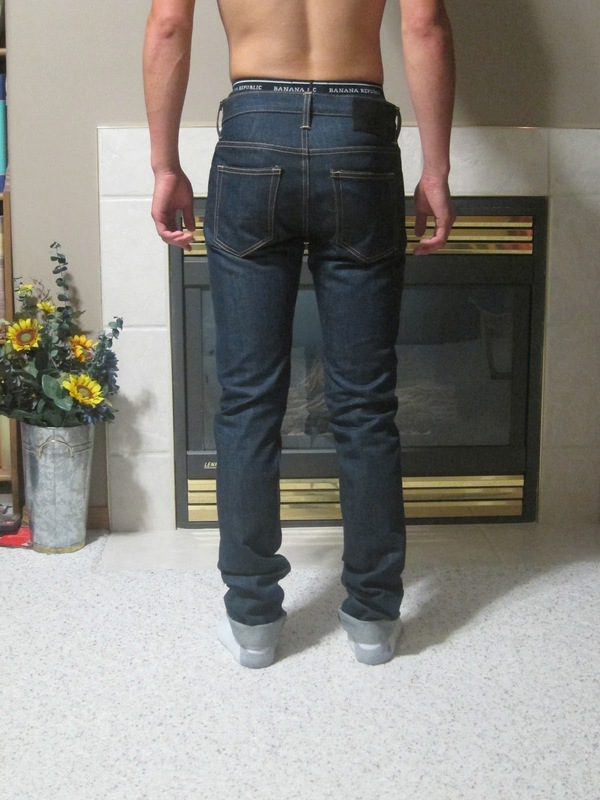 As you can see below, the denim is 13.5 oz. Shout out to Brooklyn Clothing in Calgary for being helpful. what size did you get originally? I went with a size 29. Can you tell us how much did they stretch out in the waist ? Thanks ! These took a bit longer than my pair of Naked and Famous to stretch out, but they sure did. I would say they have stretched one size up already.